Every ministry has a set of important values and principles which help to create the culture from which it operates. The following principles will give you a better idea of our ministry and the experience we hope to create for you. 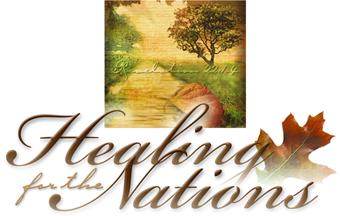 Jehovah-Rapha (Hebrew for Healer), is our Healer. We do not promote personalities upon whom people tend to become dependent. Every aspect of the ministry points to the Cross in a way that brings fresh revelation and builds deeper relationship with God. Only God can bring the lasting healing that is so needed. We come alongside participants with a goal of helping them meet personally with God. God is the Initiator. God always moves towards us first! There are so many examples of this throughout scripture. He loved us first. Before the foundation of the earth, He knew us and chose us. He gave us the gift of faith so that it would be possible for us to choose Him. He has always been at work on our behalf. As team, our role is to encourage people to stop trying to figure out what they have to do to get to God. Instead of anxiously striving, they can relax and expect God to meet with them! God is a Gentleman. This principle offers us a picture of God as Perfect Love and the Lover who seeks His beloved. In the great mystery of God, through the power of His Spirit, His Love never manipulates. He guides and directs us towards truth and holiness. God is not some “master puppeteer.” He created us with a will that He honors. Love cannot be genuine without the ability to choose what it gives itself to.God’s desire is that we would delight in Him and choose Him before any other love. As HFN team, we also honor that right and never attempt to cleverly manipulate a participant’s experience during a retreat or conference. God is the God of Surprises. Despite how mature we may be, most of us have a few “formulas” for God. We have had enough experiences with Him that we think we can predict what He will do next. Or, perhaps, we have a mindset of what we think He is “supposed” to do next! During HFN events, we challenge participants to break free of formulas or preconceived ideas of how God should act. We challenge them to begin to look for Him and to be aware of what is happening around them – to open their spiritual eyes and to see what He is doing. We encourage an expectancy – a longing to not only see Him in a new way, but to also hear from Him. Seemingly insignificant things can speak volumes when God uses them to get our attention. God is the God of Economy. It is amazing to see how God puts the group together each month in the Intensive Retreat. As the week progresses, participants develop a new understanding of what it means to be in the Body of Christ. They find trust and acceptance in one another. From this safe place, incredible learning and revelation is possible. As participants share their struggles and experiences, as they see each other meet with God, it is as if God uses everything in His economy to speed up the healing process! God is the God of Kairos. Chronos is the Greek word for time as we know it. It is the time we check on our watches. Kairos relates to God’s special time – His appointed and anointed time. We believe God has encouraged people to attend a retreat at a particular time designed especially for them. When counselors and pastors tell us that people they referred completed six plus years of therapeutic work in their time with us, we know this can only occur in kairos! As team, we never push anyone to attend a retreat. God will help them get to the retreat at the right time, His time.